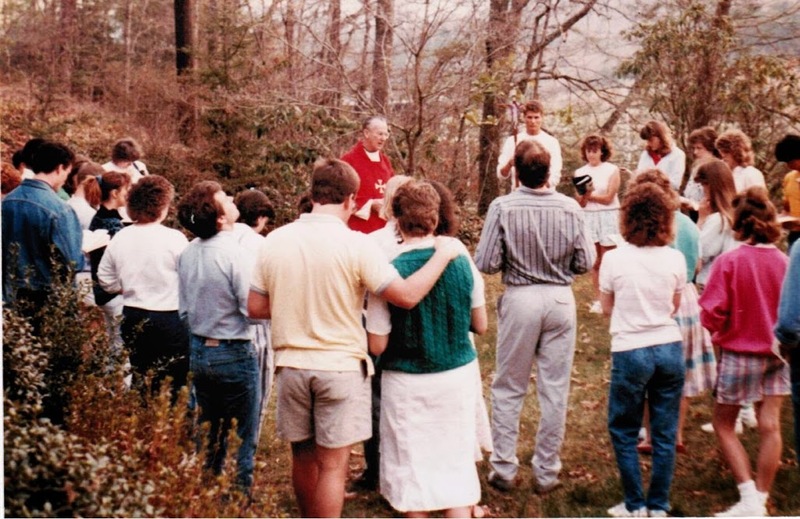 The history of Catholic Campus Ministry at Western Carolina University is inseparable from the history of Catholicism in southwestern North Carolina. The history of WCU itself goes back to 1889 when it was founded in Cullowhee as a semi-public secondary school to educate young people and train teachers to educate others in the NC mountains. In 1929 was chartered as Western Carolina Teachers College, colloquially known as “the Cullowhee experiment.” In 1953 it was renamed Western Carolina College, and in 1967 granted its current title of Western Carolina University. With the growth of the university came a growth in the population of the region, and an increase in religious diversity. The native faith of most of the population in southwestern NC was Presbyterian, Baptist, or Methodist. In the 1950s there were only five Catholic families in Jackson County, living either in Cullowhee or Sylva. These families were all transplants from New England or Florida. Many families relocated to Jackson County specifically because of the college. One such example is Dr. Maurice Morrill and his wife, Nell. Dr. Morrill was hired as Dean of Graduate Studies in 1950 and was the first Roman Catholic to be employed by the college. At this time one priest, Monsignor Larry Newman, served all Catholics in North Carolina west of Waynesville. He would come to Sylva in Jackson County to celebrate Mass once every four to six weeks. As there was no church, Mass was often said in a private home. 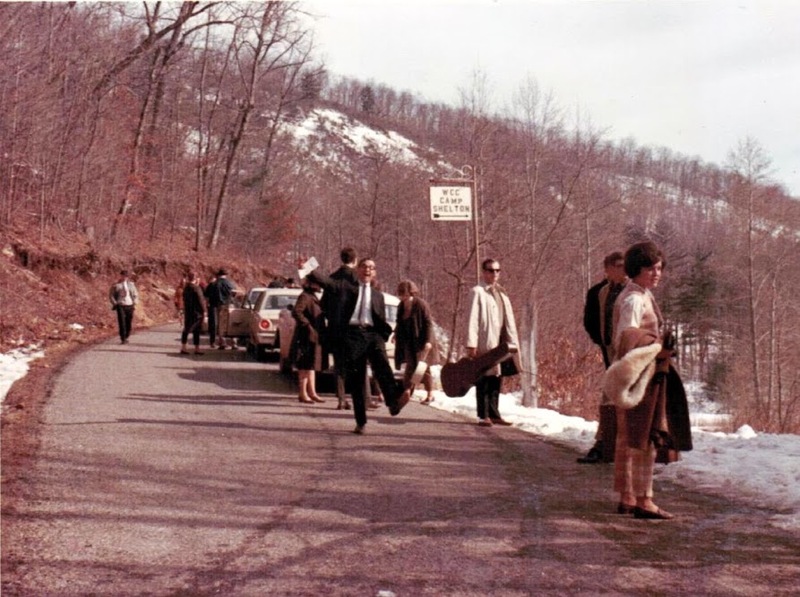 When the Morrills moved to Cullowhee, they discovered a small number of Catholic students, mostly athletes, recruited from New Jersey, Pennsylvania, and Illinois. Nell Morrill invited the students to meet at their home in Reynolds Hall, on campus. This was the beginning of any kind of ministry for students at WCU. The original group consisted of six students and the Morrills. Fr. John Loftus, who resided in Sylva as assistant pastor for the missionary region, would occasionally attend these Wednesday night meetings to offer Mass for the students. Great things were to come from these small beginnings, by the grace of God. Fr. Loftus began to rent a barbershop in Cullowhee to offer Mass on Wednesdays. A frequent attendee was Michael William Murphy, who developed a special report with the students and would often provide rides for them to Mass on Sundays, and take them to lunch afterwards. In 1959 Dr. Murphy purchased a house on Dix Gap for use as a permanent student center. He remodeled it to include a chapel, and by 1960 Mass was offered there weekly during the school year. Mr. Murphy would go on to help establish other churches in the region, including Our Lady of Guadalupe in Cherokee, and St. Margaret of Scotland in Maggie Valley. In fact Mr. Murphy would, at the venerable age of 80, become Fr. Murphy, ordained a priest at St. Margaret’s church in Maggie Valley, a parish he would later pastor. Fr. Murphy is subject of the book Murphy, Apostle of the Smokies, by Sr. Jane Schmenk. Once the Catholic students at Western had a home to call their own, they needed a “house mother.” Mrs. Neva Grady was hired for that task. Mrs. Grady and her husband William had been visiting Cullowhee since 1934 and moved permanently to the area in 1949. Mr. Grady died in 1958, and his funeral was the first ever to be held at St. Mary’s. 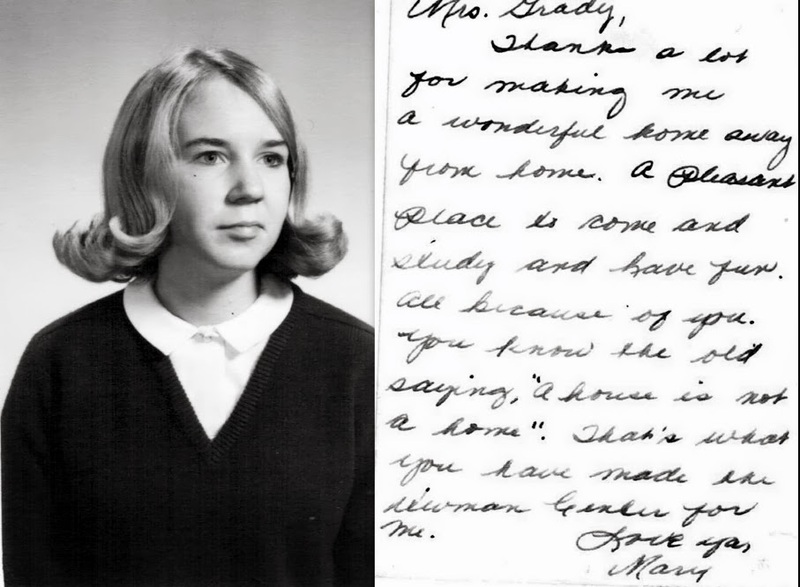 In 1959 Neva Grady began her ministry to the Catholic students at WCU, and would continue to serve as house mother for 28 years until she retired to Florida in 1987. During the 1960s, it is estimated that there were around 100 Catholic students enrolled at Western. In 1963 there were only four Catholic faculty members, and no one in administration. In 1969 the house used as a Catholic Student Center on Dix Gap was sold and the present house was purchased on Forest Hills Rd. The basement level of the home was converted into a chapel, and Mrs. Grady lived in residence upstairs. This house remains in use as the Catholic Student Center today. Going on retreat in 1960. Until 1972 both St. Mary’s church and the Catholic Student Center were considered missions; first of St. John’s in Waynesville and later St. Francis in Franklin. In 1972 the Diocese of Raleigh, which had encompassed all of North Carolina, divided into two dioceses; Raleigh in the east, and the new Diocese of Charlotte in the west. Now part of the Diocese of Charlotte, St. Mary’s soon after became a parish. Fr. John Loftus was named its first pastor. The Catholic Student Center was considered part of St. Mary’s parish and Fr. Loftus ministered to the students on campus as well as the broader community. Since that time the pastors of St. Mary’s have also served as chaplains to the Catholic Student Center. The first official campus minister assigned to WCU was Glenmary Brother Al Behm in 1980. Glenmary priests and brothers were hugely instrumental in the growth and development of Catholicism in the region. Brother Al would leave in 1984 and be succeeded as campus minister by Carol Voltmer. Shortly thereafter, in 1985, a married couple, Bill and Diana Mehle, became joint campus ministers. The WCU Catholic community has always been a vital part of St. Mary’s parish. In 1988, when St. Mary’s Parish Council adopted a revised Constitution, it was stipulated that the thirteen members of the council would include “nine elected members, a teen representative, a student from WCU, the Campus Minister, and the Pastor.” Part of the activities listed by the Parish Council for the year prior included “renovation of the Student Center & House,” and a special dinner hosted in honor of Neva Grady and another special dinner for the university students. A “St. Mary’s Parish” report from that same year, 1988, mentions “a married couple who are serving as campus ministers” for the university, with a budget of $25,000. Three fifths of the budget was paid for by the Diocese, one fifth from the Glenmarys, and the final fifth being raised by the campus ministers and students. That same report mentions a student intern, a “weekly prayer service” on campus attended by half a dozen students, and a 7:00pm Sunday Mass on campus attended by about 40 students on average, as well as joint parish-university service activities such as brining firewood to the elderly. Today, Catholic Campus Ministry continues strong at WCU. The faces have changed (such is university life) but the spirit remains the same. The current campus minister is Matthew Newsome, himself a graduate of WCU. Both he and his wife, Joannie, were involved in campus ministry during their student years. Matthew, a convert, went through the RCIA program at the Catholic Student Center in 1999. Matthew has been campus minister at Western since 2008, when he succeeded Gloria Scwietzer, who held the position for 14 years prior. Mass continues to be offered every Sunday on campus during the Fall and Spring semesters, by the pastor of St. Mary’s. And students still meet weekly on Wednesday nights for dinner, fellowship and prayer. Service activities and faith formation remain integral parts of the school year for Catholic Student Center. Other activities include retreats, Eucharistic Adoration, RCIA, Confirmation Preparation, and more. Campus Ministry at WCU is a part of a vibrant campus ministry program in the Diocese of Charlotte, including over a dozen different colleges and universities across the western half of North Carolina.